FREE Content Creation Template For Coaches - Coach & Grow R.I.C.H. Were you taught that as well? …When you have a specific target market and niche, most of your clients are in a similar situation and face common challenges, right? Not sure what to create? Here’s a free resource that will help! Download The Content Creation Template For Coaches (For FREE!) here. 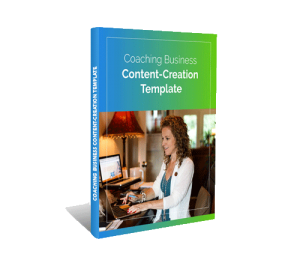 It’s only available for free this week, so I recommend you get your hands on The Coaching Business Content Creation Template right now.